Tsum Valley Trek is a sacred Himalayan pilgrimage valley situated in northern Gorkha, Nepal. ‘Tsum’ comes from the Tibetan word ‘Tsombo’, which means vivid.Traditionally,Tsum valley was a currently distinct geographical area called ‘Tsum Tso Chucksums’, which means thirteen provinces ruled as a single territory. Against the majestic backdrop of the Ganesh Himal, Sringi Himal, Boudha Himal ranges,this serene Himalayan valley is rich in ancient art,culture and religion. 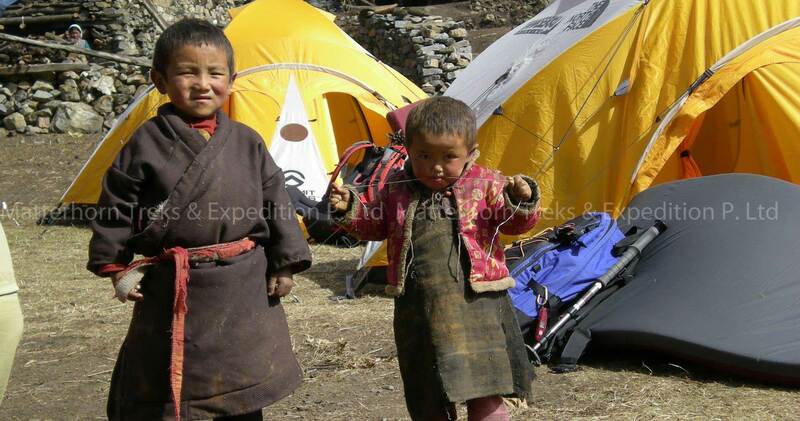 The local people are mostly of Tibetan origin & speak their own dialect. The altitude of Tsum Valley trek varies from 1905m in Lhokpa to over 5093m at Ngula Dhojhyang pass on the Tibatan border. The hidden valley is surrounded by the Boudha Himal and Himal chuli to the west, Ganesh Himal to the south & Sringi Himal to North. People in Tsum Valley still practice polyandry system and they have their own unique culture, tradition, & dialect. They celebrate unique festival like Lhosar, Dhacyhang, Saka Dawa, Faning & others. Many residents of this valley report that they have seen or found the signs of Mehti, commonly referred as the ‘Yeti’ or ‘Abominable Snowman’. The trials are strewn with artistic chortens and lined with Mani walls made of thousands of stone slabs carved with drawings of deities and inscribed with prayers. The famous Kyimo Lung, a pilgrimage circuit in the central Trans-Himalaya is a well known seat of learning and a seat of meditation. The circuit traverses across Tsum Valley, Manaslu area in Nepal and southern parts of Tibet. The Buddhist saint Milarepa is believed to have meditated in the caves of these mountains. Due to its remoteness and inaccessibility,this sacred valley and its people have been bypassed by mainstream development for centuries. As a result,the unique culture of this valley has also remained fairly intact. 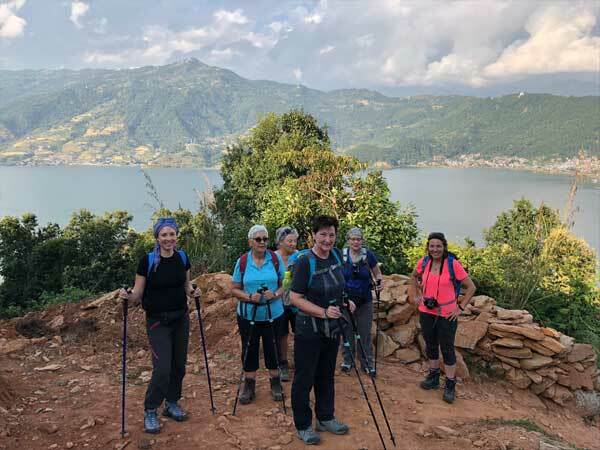 This trek begins from Arughat in Gorkha district,which is easily accessible from Kathmandu. A 7-8 hour’s drive from Kathmandu in to the western mountains takes us to Gorkha, the Capital of Medieval Nepal. Another 42 km drive on a dirt road and we reach reach Arughat, our trek start point. The dirt road from Gorkha to Arughat may not be drivable during the monsoon season. In that case, we may have to begin our trek right from Gorkha and reach Arughat in the evening. Arughat is a major town in the region and is divided in two parts with the Buri Gandaki River flowing between them. We cross the bridge over Budhi Gandaki and begin our trek from the western part of Arughat. After completing with the ACAP procedure, we follow the stone-paved street north through the bazaar. We pass through the hydro- electric power plant, fields of rice and millet to Maltar, and through forests Sante Bazzar. The trail to Budhi Gandaki valley now becomes steeper and the trek more difficult as we cross the Arkhet Khola on a suspension bridge, passing the shops of Arkhet. Descend to a high, cascading waterfall making a long steep slog up a ridge to Kyorpani. Then from here the trail descends to Soti Khola. Overnight stay at the campsite at Soti Khola. Sringi Himal beyond the valley. Further along the right bank begin ascending until you reach Filim. Though it is a Nepalese Gurung it has a strong Tibetan influence. From Lokpa we trek to Chumling Tanjo. We can see the Baudha Himal(6672 m) and Ganesh Himal VI on a clear day. Chumling has three monasteries: Panago Gumba, Mani Dhungyur and Gurwa Gumba. There are also several good campsites. There is a telephone service and health post too. Overnight stay at the campsite at Lower Tsum. From Chumling we trek to Chhokangparo. Upper Tsum valley (part of the Inner Himalaya) open from Chhokangparo, where hospitality local people (Tibetan group “Tsombo”) welcome you with traditional Tibetan Chiya (butter tea) and local meal.Overnight stay at the campsite at Upper Tsum. Beautiful views can be had of the Shiar Khola, Rachen Gumba , the mountains and settlements amidst vast agricultural land. Overnight stay at the campsite. Dephyudonma gumba is one of the oldest monasteries in the Tsum Valley and is situated in the rugged mountains, a 2 hr walk from the village of Chhule and Nile. The history of this monastery is directly associated with the dawn of Buddhism in the valley.The monastery is run by Lama Serap of Nile Ladrang from the Kangin sect. There are a few campsites and drinking water facilities.Overnight stay at the campsite. The trail ascends to Mu Gumba, the largest monastery in the region. Mu Gumba is located at the highest and farthest point in the Tsum Valley.On the way to Mu Gumba. Overnight stay at the campsite. Rachen Gumba is one of the largest nunneries in the Tsum Valley, with 80 nuns currently studying.It was established in 1905AD. Iyt houses the nuns belonging to Ngak-pa sect, which does not allow animal slaughter.Dhumje is a small village with about eight houses and adjoining cattle shed.Overnight stay at the campsite at Dumje. From Dumje we trek to Philim and cross Ripchet. on the way we witness one of the most beautiful falls in the Lower Tsum Valley, Samba Tingding Chhupyang. 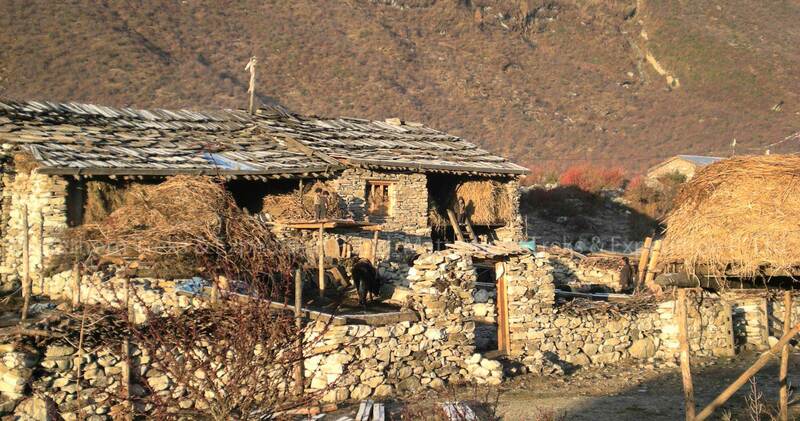 Phillim, at 1550 m, is a large Gurung village with fields of corn and millet. The trail that climbs through the village and heads up over the ridge leads to Ganesh Himal Base camp. Overnight stay at the campsite at Philim. From Phillim we trek to Tatopani. There is a hot spring at Tatopani. You can relieve your tired muscles by soaking yourself in the hot spring. Overnight stay at the campsite at Tatopani. From Tatopani we trek to Lapubeshi, a Gurung Village. We pass through terraced fields and tropical waterfalls. We camp at the village. Overnight stay at the campsite at Lapubeshi. Overnight stay at the campsite at Arughat Bazar. 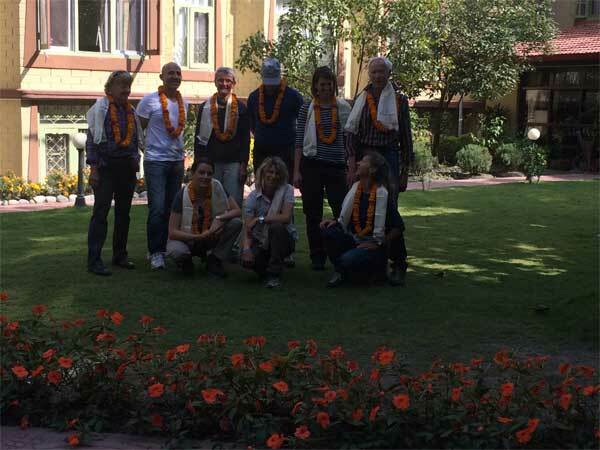 We drive to Kathmandu And overnight at hotel.